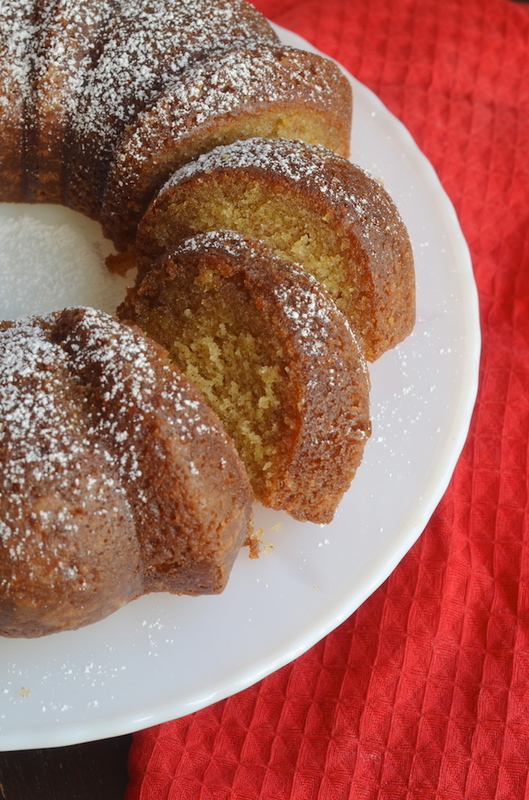 It's no secret that when it comes to cake, rum cake is one of my favorites! At its heart, this is a simple vanilla rum cake glammed it up with some spicy and super fragrant Vietnamese cinnamon and a decadent, booze, buttery Cinnamon Butter Rum Syrup to pour over the whole thing. I think this is a fantastic cake for the upcoming holiday season; one that most definitely would NOT be unwelcome on your Thanksgiving or Christmas table. Preheat oven to 325 degrees. Grease and flour a 10-inch bundt pan. Whisk together flour and baking powder. Combine milk, rum, and vanilla bean seeds in a separate small bowl. Beat butter, granulated sugar and brown sugar with an electric mixer about 10 minutes or until light and fluffy. Add eggs and yolk and beat 1 more minute. Add flour mixture and milk mixture to butter mixture, beating on low speed just until combined. Pour batter into the prepared pan. Bake 45 minutes, or until a tester inserted in center comes out clean. Remove cake from pan and let cool while you make the syrup. Make the syrup: In a large saucepan with high sides, combine butter, water, sugar, salt and cinnamon sticks. Bring to a rapid boil for one minute, then lower heat and let simmer until reduced by about 1/3, stirring occasionally and keeping an eye on it so it doesn't boil over. Remove from heat and stir in the rum (it will bubble!). 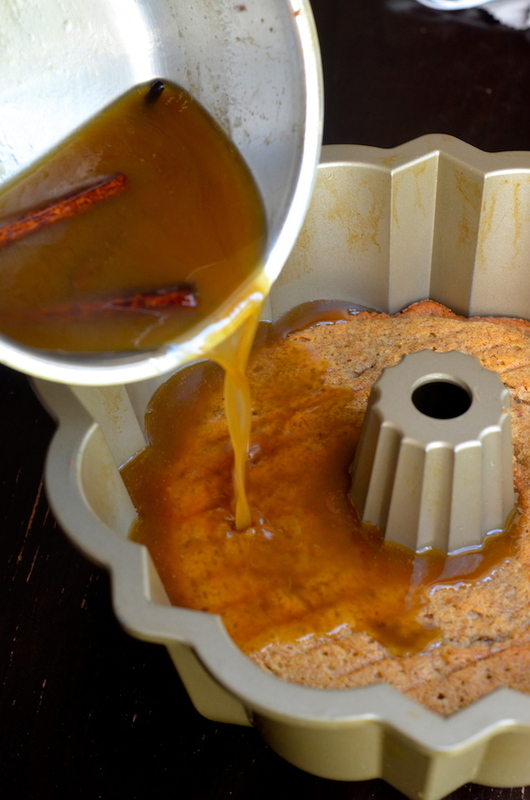 Return the cooled cake to the clean baking pan and pour syrup over the cake. Let it absorb 1-2 hours before turning out and serving.